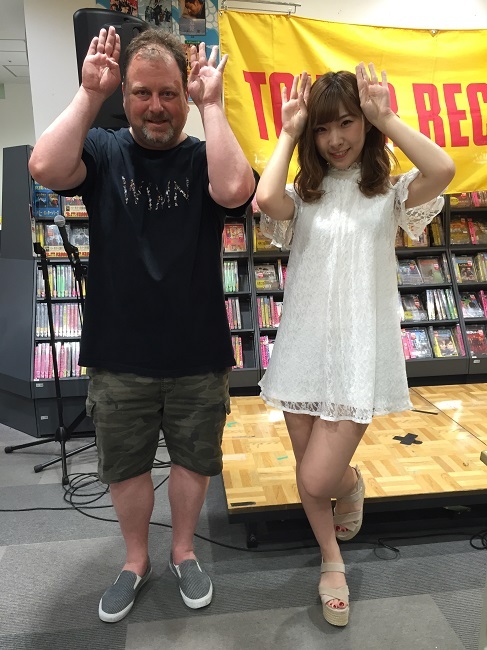 Wow, has it really been almost a month since I last did a Wasamin post on this blog? Obviously Wasamin’s response still left me in the dark, but no matter. I had actually been to a Karaoke party with friends just a couple of weeks prior, so I was kinda brushed up on my Karaoke skills. Personally, I am a mediocre singer. Not horrible, but nobody is ever going to sign me to a singing contract. On the other hand, I am not uptight about it. I am perfectly willing to sing badly in front of people. So no real worries. I was running slightly late, but I don’t live far from Ikebukuro. I got to Big Echo just a few minutes before doors opened, and the Wasafans were queued down the sidewalk. I was second to last in line, so I assumed I wouldn’t have too good a spot. We were lead in via an elevator, five at a time. When I got downstairs I scanned the room, four long tables that sat eight each. The two tables in the middle were pretty much filled, the table in the back was empty, but the table in front had a few open spots, including the first seat, so I took it. This was like having front row center, cool! 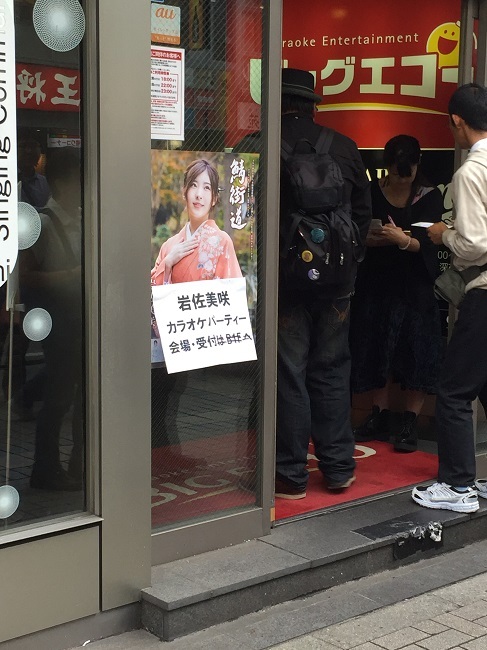 Saso-san, and Yamaue-san, two of Wasamin’s assistants, informed us that we would have unlimited Orange Juice and Oolong Tea during the event, which would be around 60-90 minutes. They also provided us with tambourines and maracas to use during the performances. Wasamin asked if anyone wanted to sing a duet with her. Surprisingly, or perhaps not surprisingly, around 90% of the room raised their hand. They had only allotted around three songs for people to sing duets, so we would have to decide by Janken. The winners would also receive a set of signed clear files from all of her singles. I was in a bit of a quandary, since the only rule was that whatever song we chose, Wasamin had to know it, and agree to sing it. I am fine with singing Karaoke in English, but Japanese is another story, and Wasamin had already sang the song I know most of the lyrics to. But hell, this was the chance of a lifetime, I would try to win, and worry about what to sing if the situation arose. Unfortunately, I was not one of the lucky winners. Oh well. But the people who did win, all sang pretty well. So kudos to them! Next was time for requests, which was again decided by Janken since most of the room wanted to request something. I couldn’t think of anything in particular that I wanted to hear, so I did not participate. The first guy who won was an 85-year old fan who requested Saba Kaido. Ehhhhh? Wasamin was like “you know I am going to sing that at the end” But he didn’t care. He insisted that was his request. Okay then. The next guy requested Kanpeki Guu no ne, from Watarirouka Hashiritai, which also inspired a round of “eeehhhh” from the audience. I mean the guy could have at least requested a WH7 song, right? The next guy requested AKB48 Team K’s “Saka Agari”, now the fans and Wasamin are like “WTF?? ?” She was like, “Are you guys the 48-fan group?” Oh, and although Wasamin has performed this song before, she completely forgot the lyrics, so it ended up being a bunch of mumbling and the chorus. After the second verse, she was like “Okay, enough of that!” and stopped the song, LOL. Mercifully, the last person chose an enka song for her. Wasamin would perform one more song, Saba Kaido (again), before she thanked everyone for coming. 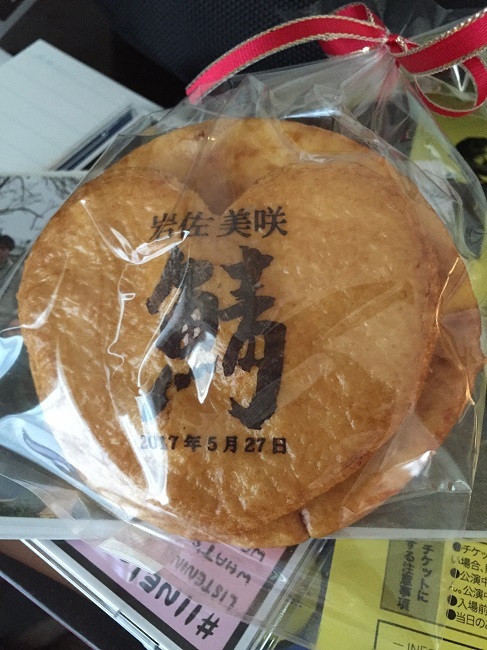 It was also announced that we would get to take a cheki with her, and get a small present, which turned out to be rice crackers with Wasamin’s name and Saba Kaido written on them. Since I was in front at the first table, I ended up being the second person to take a cheki. The idea was that we would pose with microphones like we were singing a duet. Wasamin handed me the microphone, and I immediately started singing the chorus to Saba Kaido. Wasamin was like “Wait, do that again” At that moment she flipped on our mics and we sang Saba Kaido, well, just a couple of lines of it. So now I can (sorta) say I did a duet with her too. Anyway, we took the cheki, I thanked Wasamin, and I was in the elevator. It was a fun event. 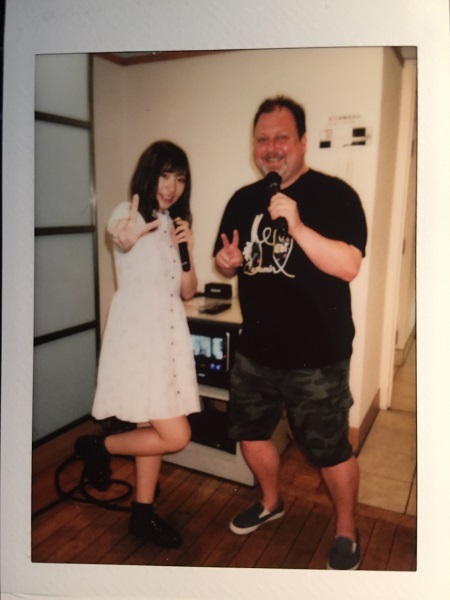 It went by kind of quickly, but it was neat to be in that casual setting with Wasamin, just foolin’ around and singing Karaoke. I would definitely do it again, and hopefully I would get a chance to sing a proper duet with her. Oh, and I was going to make this a dual-report post, but this is running kinda long, so I will talk about the DVD release on my next post. Previous Iwasa Misaki ‘Love Live’ Solo Acoustic Concert at Shinjuku Sumitomo Yasuda Life Hall (2017/05/07) Plus, Minyo Girls Live!